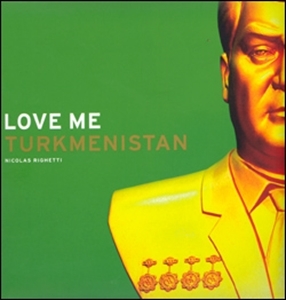 Love Me Turkmenistan is a vivid, colourful and often very humorous depiction of a country dominated by the dark shadow of its ex-leader, with full-technicolour depictions of its capital, its monuments, and its people, now released from a surreal chapter in their country’s history. Each vivid image is accompanied by an actual quote from Niyazov, forming a strong and often outrageous commentary. 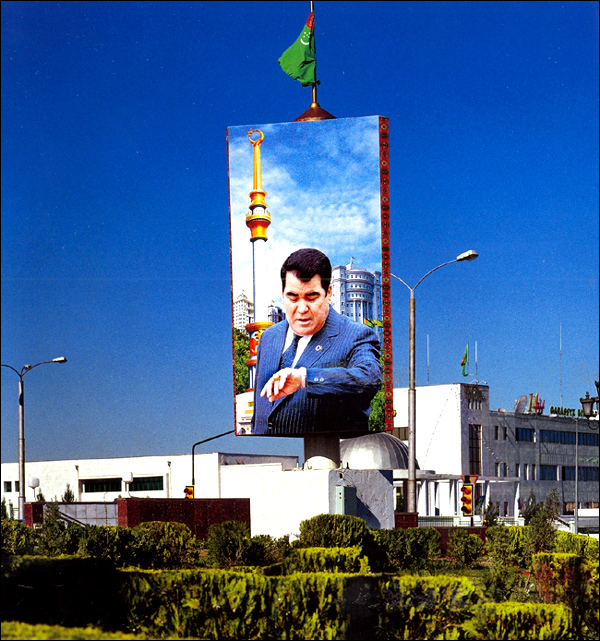 his way up through the Communist party, and was eventually made President of a newly independent Turkmenistan from the collapsing Soviet Union. dictatorship, considered one of the hardest in the world, where he gave his people free salt, electricity and gas - but also the lowest minimum wage possible. Even the months of the year were renamed to pay homage to Niyazov and his family. By 2001 all internet cafes were closed and ballet and opera were banned, and in 2004, the state even forbade young men from growing long hair or beards and it was prohibited for newsreaders to wear make-up.